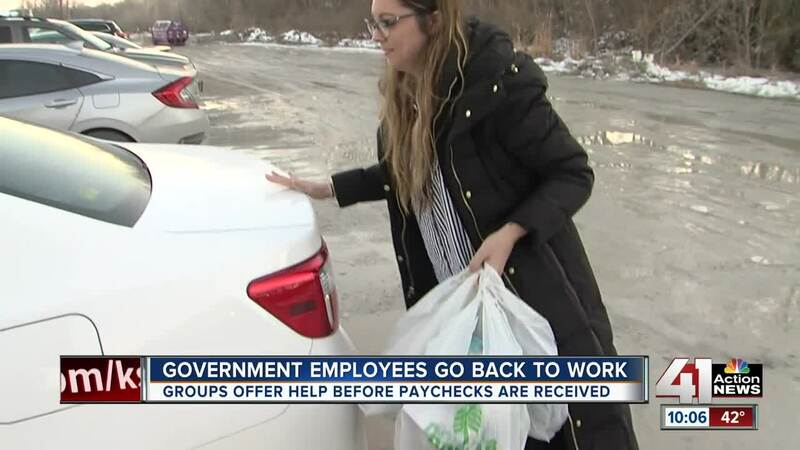 More than a dozen local businesses will collect donations for furloughed workers until Feb. 5. RAYTOWN, Mo. — The government shutdown is over for now, but some federal employees are still feeling the pinch. That's why 16 businesses in the Kansas City metro area are teaming up to help. The idea started with Alana Gwinner, who runs Eleven Three KC, a project management marketing company for local breweries. Gwinner saw a gap when it came to furloughed workers' families getting assistance. "I was like, 'Man, we've got to do something for all of these people,'" Gwinner said. Crane Brewing Co-Owner Chris Meyers agreed. His wife, who is a federal employee, was able to work and receive pay during the partial shutdown. He doesn't know how workers who missed two paychecks were able to manage. "The fear is people are going to need time to catch up," Meyers said. Crane Brewing and Gwinner decided to start a donation drive and, since the craft beer community is tight-knit, they were able to quickly get a host of other breweries and small businesses on board. Now, there are 16 locations where people interested in donating can drop off things like canned food, diapers and gift cards. The items will be put into care packages and distributed to federal workers from 4 to 8 p.m. on Friday, Feb. 8, at Crane Brewing. The event will feature DJs plus a free beer and light snacks for federal workers. "We want people to kind of get a breath ... and enjoy themselves before they move on," Meyers said. The goal is not only to help workers catch up from the 35-day shutdown, but also to prepare them for the next one that could happen in three weeks. "You know with how crazy the world is right now, it's like Mr. Rogers always said, 'Look for the helpers,'" Gwinner said.